Lyrics of Liverpool is an amazing initiative run by the Liverpool PCYC. The project involved a series of workshops for young people helping them with their music skills while building on important life skills. Participants attended workshops on song writing and creative expression, sound engineering and events management while also addressing important issues including bullying, valuing and understanding identity and self-esteem. Bananas are a wonderful resource to help turn unwanted food scraps into usable compost. A Banana Circle in the preschool playground will help achieve the pre-school’s goal of reducing their ecological footprint. It will also provide opportunities to teach children lifelong environmental and sustainable practices as they see their food waste become compost for the pre-school garden. Sandon Point SLSC is getting a new Inflatable Rescue Boat (IRB). Replacing a 14-year-old boat, the new IRB will support rapid response rescue and enable greater manoeuvrability in the water. Surf Club members will also be encouraged to race in IRB competitions in the off-season. A Community Action Team Trailer will be used to increase education and awareness in the community, particularly in areas that present a flood risk. The trailer will be ready to deploy to specific areas-at-risk in the case of an event. The trailer will store items including traffic cones, emergency evacuation hi-vis vests, sandbags and CB radios. Rescues in the bush or other remote locations can present difficulties in transporting patients. A light weight stretcher wheel attached to a rescue stretcher, means someone who is injured in the bush or in a remote area can be quickly moved to medical aid by volunteers. 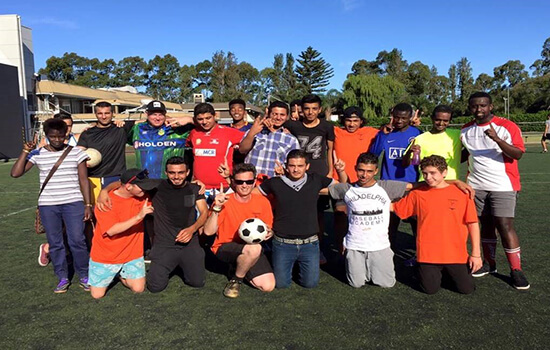 Football for Refugees utilises the ‘world game’ of football to encourage community engagement and provide education to refugees living in the Illawarra. Two 10-week football programs will cover football skills and will also incorporate workshops on different topics including: education opportunities, employment opportunities, beach safety and the health system in Australia. 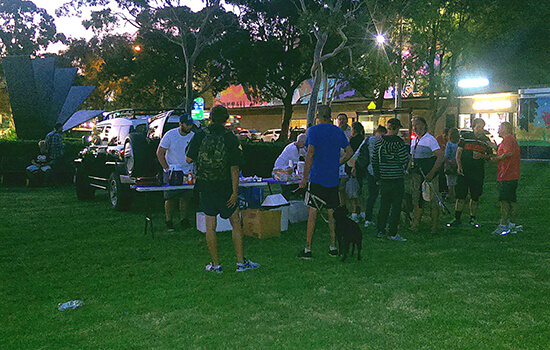 Every Thursday night, Kind Hearts Illawarra runs Outreach at McCabe Park providing meals, drinks, hygiene packs, blankets, towels and clothing to homeless people, troubled youth and others in need. Funding will provide a van to support the program’s activities. The Men’s Shed in Coniston has been operating since 2006. 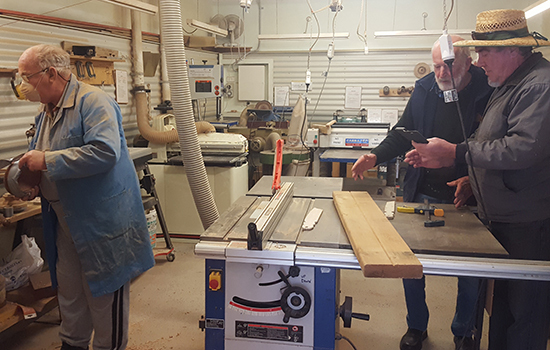 This project includes the replacement of some worn tools and the introduction of new equipment to give Men’s Shed participants the ability to create new and exciting projects not only for themselves but also for their communities. RYDA is an award-winning Road Safety Education program committed to reducing trauma on our roads by educating young people in Years 9 to 12. RYDA is evidence-based, providing practical and powerful workshops to change the way young people think about road safety. Funding will allow up to 1,600 Illawarra students to participate. 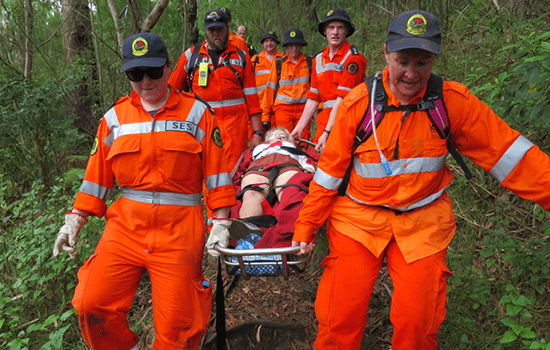 The NSW Volunteer Rescue Association is made up of specialist rescue operators working for their communities. 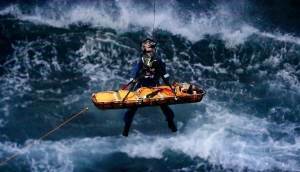 They are primary responders for Road Crash Rescue, Marine Rescue, Vertical Rescue and just about any type of specialist rescue encountered by Emergency Service personnel. A training room with a kitchenette will provide a space the South Coast Rescue Squad and RFS can use for land search, first aid and working at heights training. The Museum Society will use funding to replace an outdated barbecue and kitchen area. The camp kitchen is used on operating days for food sales to visitors. The museum features a number of historical steam and diesel locomotives from Australia’s Industrial Railways. A major communications centre upgrade for the Marine Rescue NSW Port Kembla Unit will deliver better radio coverage for the boating public of the Illawarra and Shoalhaven regions in waters between Sydney and Batemans Bay, including Jervis Bay, St Georges Basin and Sussex Inlet areas. 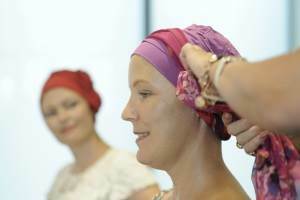 Chemo Care Kits provide women in the Illawarra who are undergoing chemotherapy with a kit of items specifically picked to suit women diagnosed with cancer. 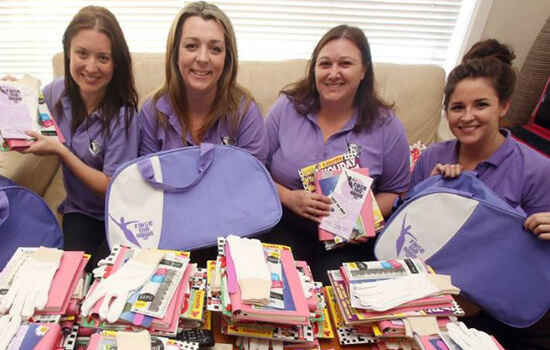 Kits are delivered to around 600 Illawarra women diagnosed with cancer each year. The Kiama SES catering team prepares meals during multi-day training for volunteers across the Illawarra and South Coast, as well as providing food during sustained emergencies. The catering team currently uses a very outdated kitchen and BBQ facilities to prepare and cook food for 20-150 volunteers at a time. Kitchen on Wheels will enable the team to expand its current catering capability by 20-30 portions. Carers of people with mental health issues experience high levels of stress and anxiety during a mental crisis. A manual, distributed outside of a crisis situation, can help carers feel better equipped to manage the situation. 5,000 manuals will be printed and distributed to doctors surgeries and mental health facilities. The Stepping Up program provides education and support for boys in Years 5 and 6 demonstrating at-risk behaviours of concern to their teachers. Over one term, our qualified youth workers challenge the boys to manage their anger, develop positive relationships and recognise negative peer pressure, whilst developing emotional resilience and improved self-worth so they are well prepared for the transition to high school. 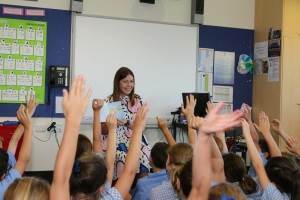 Funding will deliver the program to five Illawarra schools. CareSouth provides free access to hearing, dental and optical checks to disadvantaged children aged 2 - 17 in Berkeley and surrounding suburbs. This project will provide dental, auditory and optical checks for up to 200 children and will also educate parents, carers and young people on healthy lifestyles and the importance of seeing health professionals. Taking Therapy into the Sunshine will install a trauma informed, purpose specific, outdoor therapeutic play facility for children and young people who have experienced child sexual assault and other trauma. Evidence indicates that trauma informed play treatments have the potential to set children on a path of well-being. 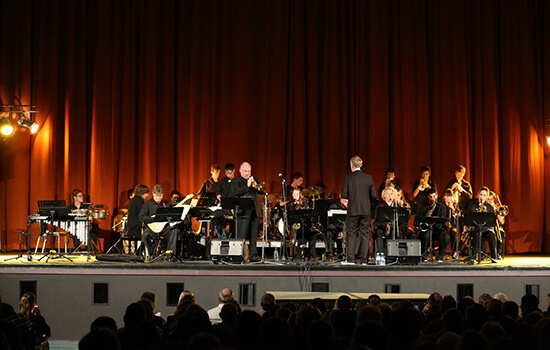 The Roger Soden Scholarship provides funding for a student at the Wollongong Conservatorium of Music. Need a Feed partners with several organisations to identify and connect with local families that are struggling or that are in need. Need a Feed assist with emergency relief to these families by providing one of life’s basics… food. THE GIFT is a new immersive installation project for the Wollongong Art Gallery that celebrates Bob Sredersas, a Lithuanian emigrant who fled his country and came to Australia in 1950. Bob lived in Wollongong and worked at the Port Kembla steelworks. Over two decades, Bob collected art from some of Australia’s most significant artists, which he gifted to the city of Wollongong in 1975. THE GIFT will incorporate the 100-plus artworks from the Sredersas Collection along with some of Bob’s personal items into an immersive and atmospheric experience. Life Education delivers educational programs on-site at various primary and pre-schools throughout the Illawarra. The Life Education Truck is a mobile classroom where students learn about making the best choices for a safe and healthy life. Children who know how to swim and behave safely around water are at a reduced risk of drowning. Not all Australian children have access to the learn-to-swim programs that provide this knowledge. The Swim & Survive project delivers 10 free lessons to children who have missed a formal water safety education and teaches vital skills like floating, sculling and breath control exercises. 16-25 year old drivers have a crash risk 8-10 times higher than experienced drivers. In conjunction with the Road Safety Office, schools, police and emergency services, U Turn the Wheel provides free workshops for Year 11 students focusing on attitude and awareness of driver related issues like speed, fatigue, alcohol, drugs and the use of seat-belts. Solar-powered benches are an innovative addition to the neighbourhood landscape and are a highly visible and fun way to demonstrate the potential of renewable energy. 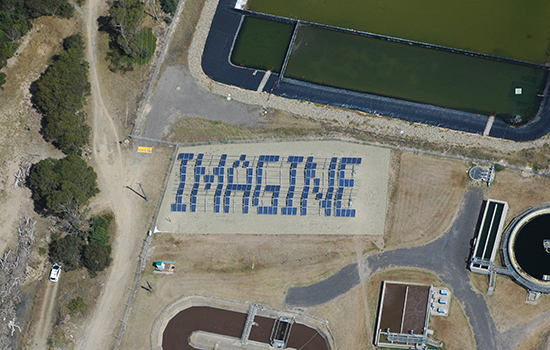 This project will see two solar-powered benches installed in Crace – one in a youth-targeted area and another one in areas used by families. The Goulburn Regional Art Gallery aims to ensure that its programs and activities are available to everyone in the local community. This project expects to deliver workshops to approximately 800 people who struggle to access any form of creative expression in their daily life. 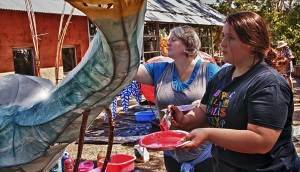 Participation in creative activities results in mental, cognitive and health benefits. This pilot project aims to provide in-home technology to 15 people over the age of 65 who are blind or have low vision. 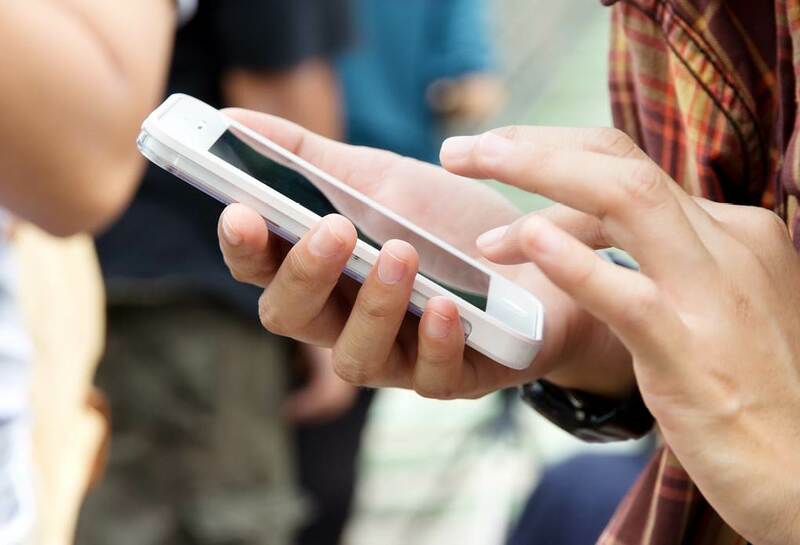 Providing an in-home ‘Personal Assistant’ to vision impaired people will help them remain connected to information and their local community. 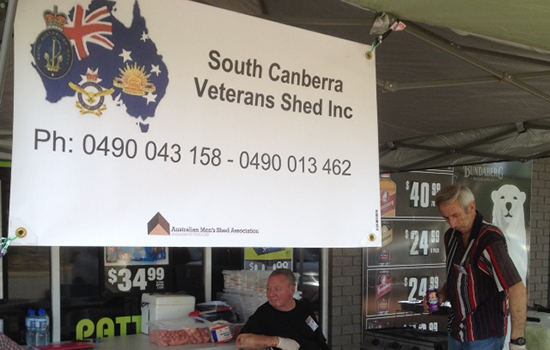 This project will deliver vital Mental Health First Aid Training to 10 people across the South Canberra Veterans Shed and other Men’s Sheds in the area. 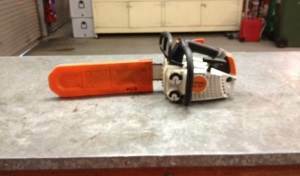 Training will be conducted by qualified instructors recommended by the Australian Men’s Shed Association. 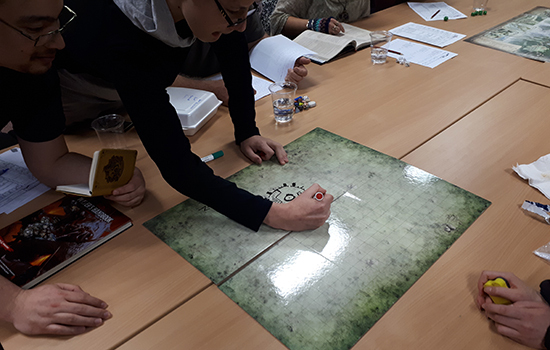 The Dungeons and Dragons (DnD) program at Marymead was developed in 2017 from an expressed need for supported social group activities for young people with Autism Spectrum Disorder. The program runs three nights a week and assists with problem solving, social skills, team work, cooperation, emotional literacy and confidence via virtual life training. 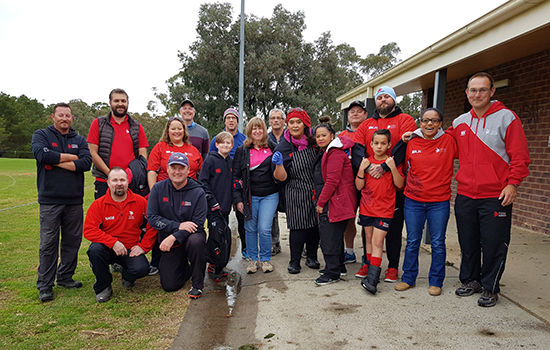 The Tuggeranong Valley Junior Rugby Union Football Club is the largest junior rugby union club in the ACT welcoming children from 5 to 18 to play our great game. Funding will replace a worn barbecue that is used for Match Day Canteen and Tour Fundraising. 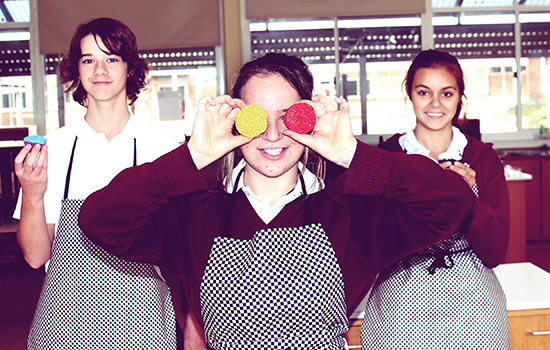 Qupcakes, operating out of Queanbeyan High School, sees a group of young people create a local enterprise, which helps build their business and employability skills as well as connecting them to the community. Participants develop a range of skills and knowledge related to running a small business including: marketing, advertising, financials, working with media, stock control, WHS and technical skills. My Coaching, My Future provides free coaching services for women who have left violent relationships and are ready to start planning the next steps in their lives. 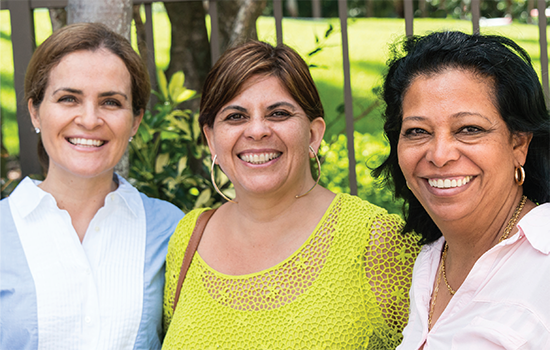 Coaching support assists women in taking steps to pursue study or career changes to enable them to support themselves and their family. 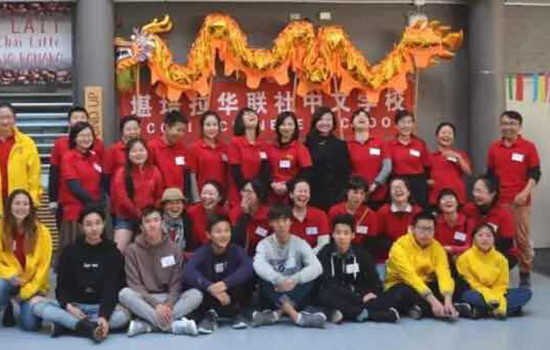 FCCCI Chinese School is looking to establish an after-school Chinese learning centre in Gungahlin. This is an expansion of an existing program that provides Chinese language and cultural education to primary school students after school hours, in local schools. The Canberra Model Railway Club operates out of the UC Kaleen High School. The club promotes the hobby of railway modelling through participation in exhibitions and seminars related to the construction of railway models and layouts. Funding will enable the club to purchase a trailer to assist with transportation of display layouts to various venues and to double as advertising for the club and its activities. The Men’s Shed plan to extend roofing of the public use area that is attached to the shed. Roofing will extend the usable area of the shed for member activities and public use. The Milton-Ulladulla Men’s Shed are looking to introduce metalworking to their regular activities and are seeking funding to purchase a metal turning lathe. The new lathe will enable additional members to learn this new skill and will also enable the shed’s disabled members to undertake some metalworking. 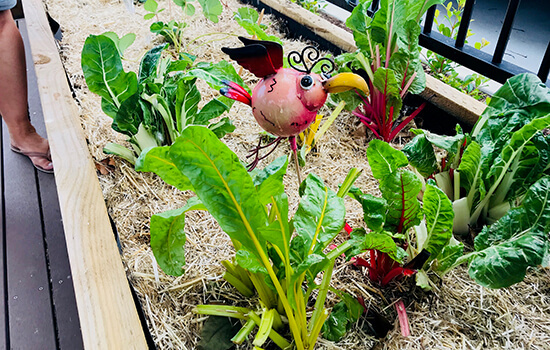 Following the success of its pilot program in 2017, Veggies for All seeks to expand the work completed to date and provide low income households with a backyard veggie patch and low fee workshops providing education around local planting guides and how to compost. Hands on learning at its best. Students learn about the dairy industry while caring for dairy calves on loan from local farmers. Cows Create Careers connects farmers and students and provides opportunities for students to learn about opportunities within the industry. Donation to the Tathra Bushfire Mayoral Appeal to support Tathra residents in the wake of 2018’s devastating bushfire. Evans Park is a popular venue with the Kalaru Community, home to sporting events and a place where people train and play. Funding will enable a new amenities block (currently under construction) to be powered by clean energy. U Turn the Wheel provides driver safety education to 500-600 Year 11 high school students from six High Schools across the Wingecarribee Shire. 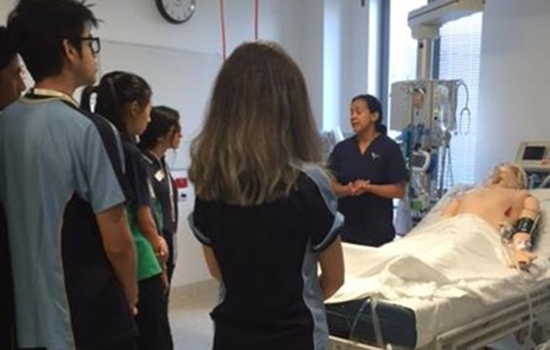 Students attend interactive sessions with police and ambulance personnel, brain injury professionals and patients and drug and alcohol awareness experts, with the aim to reduce youth involvement in road trauma. A vertical rescue training tower will enable volunteers direct, intensive training in simulated rescue scenarios, increasing the team’s readiness for this specialised rescue. Mount Druitt Hospital has the highest volume of paediatric emergency and medicine attendances of any hospital in Western Sydney: on average 4,500 patients visit every year. The children’s healing garden aims to provide relief and distraction from the stress and emotional trauma of a hospital environment. Narellan Men’s Shed will purchase a box trailer and replace a variety of small hand and power tools, enabling members to learn woodworking and metalworking skills. The P.A.R.T.Y program is an in-hospital education initiative to help young people recognise potential injury producing situations. Sessions demonstrate how risk-taking behaviours related to drugs, alcohol, speeding and distracted driving can result in injury. 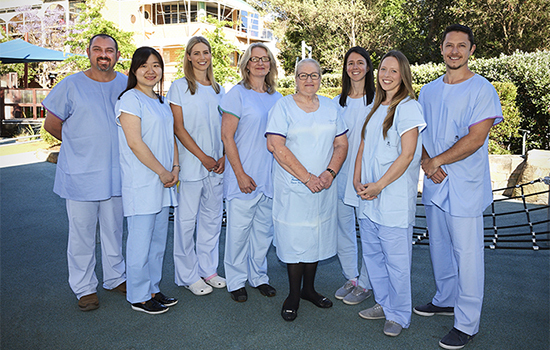 Patients and staff at Campbelltown Hospital’s Intensive Care Unit will benefit from the purchase of new equipment including a humidifier, respiratory humidifier and an emergency trolley and accessories. This project involves monthly workshops for a group of young adults who were involved with the National Centre for Childhood Grief as children, as a result of the death of one or both parents. Workshops will provide support as they navigate adulthood without the support and care of their parent/s. When diagnosed with ADHD (Attention Deficit, Hyperactivity Disorder), young people and their families turn to the internet for answers. This project will build a website where people can find accurate, helpful information and a professionally supported social media forum. Holter monitors are a valuable and powerful tool allowing the electrical activity of a child’s heart to be recorded for a continuous 24-48 hour period, with results enabling doctors to provide appropriate treatment. The purchase of three new Holter monitors and supporting software will enable monitoring of 210 or more children each year. 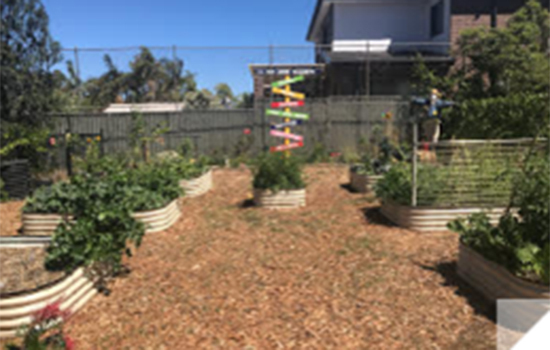 Revesby South Public School have a fully sustainable veggie garden complete with chicken coop, worm farm and beehives. The P&C plan to build a greenhouse that will support garden activities and serve as an additional classroom. 90% of Australians have at least one modifiable risk factor for heart disease. The Heart Health Check Booth provides free testing of modifiable risk factors including high blood cholesterol, high blood pressure and diabetes. Convenient and quick tests aim to help people understand results and take steps to better heart health. Established in 2014, the BreakFree Café provides learning and employment opportunities for disadvantaged youth, young offenders and youth at risk. The Beautification project will expand the café’s current barista and safe food training to incorporate building, construction and horticulture. Connecting students with projects needing volunteers is at the heart of the Community Volunteering Project. Through this project, around 50 students from UOW provide much needed volunteer resources to up to five community projects. The Kanahooka Men’s Shed is an active part of the local community, providing woodworking skills to projects for local schools and service clubs among others. The Men’s Shed will install a covered area to double their woodworking space and allow them to support more community projects. 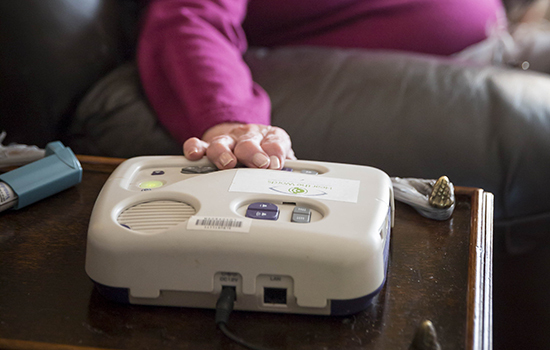 Without treatment, a cardiac arrest victim’s chances of survival decrease by 10% per minute. With current response rates at 8-11 minutes, Football South Coast are aiming to have a Defibrillator at every sporting ground in the Illawarra with the purchase of 38 defibrillators and training in their use. In the last financial year, Green Connect employed and supported 114 refugees and young people. 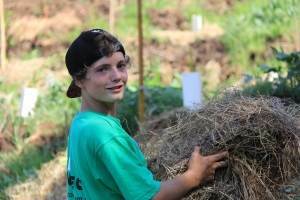 They grew and distributed 7,268kg of local, chemical free food and kept 1,462 tonnes of waste out of landfill. 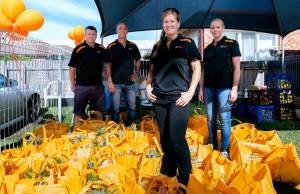 Green connect now plans to extend their Urban Farm by another 4,000 square metres with the aim to increase food production, employment opportunities and their connection with the community. Children with partial hearing loss can be ineligible for government support. The Shepherd Centre aims to bridge this gap by providing early intervention support programs to partially deaf children and their families. The program provides education, assessments, therapy and support across online and face-to-face sessions. 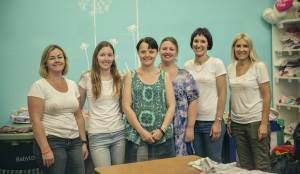 Kiama Rotary have more than 10 years’ experience providing Mental Health First Aid courses to the community. This project extends the program to students of Kiama High School and aims to give both teachers and students additional tools to support ongoing efforts for student wellbeing and welfare. 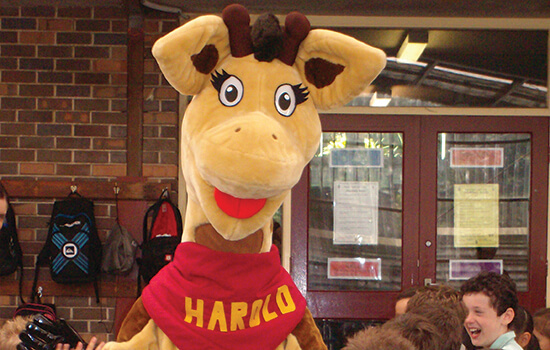 Life Education’s delivers educational programs on site at various primary and pre-schools throughout the Illawarra. The Life Education Truck is a mobile classroom where students learn about making the best choices for a safe and healthy life. Jamberoo Public School P&C Association Music Education through African Drumming How do you manage a school band when you have a small school? Take up African drumming! Jamberoo Public School’s innovative approach to the school band delivers in-school drumming lessons to all students. Extra Djembe drums will provide all students the opportunity to be involved. NZ House NSW Need a Feed Need a Feed partners with several organisations to identify and connect with local families who are struggling or who are in need. Need a Feed assist with emergency relief to these families by providing one of life’s basics… food. Wollongong Conservatorium of Music Roger Soden Scholarship Year 5 The Roger Soden Scholarship provides funding for a student at the Wollongong Conservatorium of Music. Fairy Meadow Demonstration School Sensory Garden Imagine a special place where your sense can come alive. 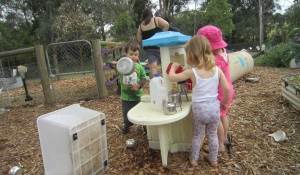 Welcome to the Fairy Meadow Demonstration School Sensory Garden. Aromatic plants and flowers as well as playground equipment including a special swing, trampolines, and a slippery dip and tunnel, will make this garden a great teaching and learning space for children at FMDS. Illawarra Sports Stadium Soft Play Equipment The Illawarra Sports Stadium is providing a new venue for Mums and their pre-schoolers. Soft play equipment provides a safe, fun place for pre-schoolers to enhance their gross and fine motor skills; while giving mums a chance to establish social and support networks by connecting with each other. 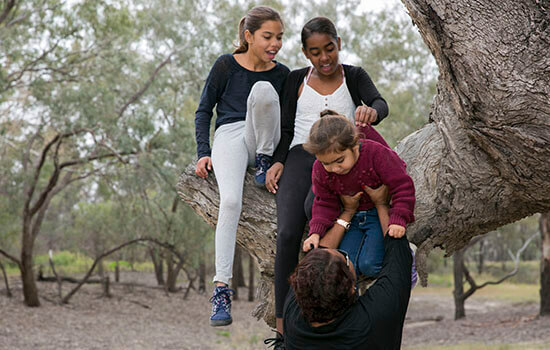 Family Services Illawarra Staying Home Leaving Violence One in six Australian women and one in twenty Australian men, 15 years and older, have experienced violence at the hands of a partner. Staying Home Leaving Violence provides residential security upgrades to enable women and children who are victims of domestic violence to remain in their own homes. Illawarra Sports High School Students and Seniors Get Appy Students and seniors get together for this great program aimed at teaching seniors how to use iPads. Seniors learn how to face-time, use apps and to engage using social media. Student Tech Leaders are paired with a Tech Senior for fortnightly lessons. Funding will enable purchase of new equipment to support the program. Multicultural Communities Council of Illawarra Inc. U&Me Online Documentary Series Taking steps to reduce racism and to increase positive intercultural interaction between members of the Wollongong Community, U&Me is the celebration of stories about friendships between people from diverse cultural backgrounds. U&Me plan to tell four new stories over four new documentaries. Friends of Eurobodalla Regional Botanic Gardens Accessible Barbecue Pavilion An increasing number of people are visiting the Eurobodalla Regional Botanic Gardens, with more than 65,000 visitors expected this year. Current access is difficult for visitors with limited mobility. The Accessible Barbecue Pavilion will provide undercover seating for 40-50 people and access to two free electric barbecues. Merimbula-Imlay Historical Society Birdcall Newsreel DVD In the 1953 to 1962, a team of bird callers from bush schools in the Far South Coast of NSW, won the State Birdcall Championships 6 times. The Merimbula–Imlay Historical Society wants to recreate some of that magic with a DVD showcasing newsreel footage from the original competitions. Dalmeny Rural Fire Brigade Fire Appliance Upgrade There is no question that firefighting is labour intensive. 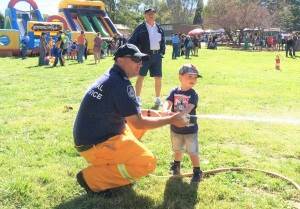 The Dalmeny Rural Fire Brigade plans to combat operational fatigue and improve efficiencies with the installation of electric hose reels. Firefighters can deploy a 60m long live reel in 8-10 minutes using electric hose reels. Wolumla Rural Fire Brigade Fire Ground Radios In a fire event, clear communication between firefighting crews is essential. New VHF Fire Ground Radios provide designated frequencies for firefighters to use, allowing better and more efficient communication that is free of interference. SAGE Fresh Veggies for Everyone Everyone can benefit from a backyard veggie garden, but not everyone has the means or the expertise. This project aims to tackle that issue with low cost workshops and free installation of ready to go backyard veggie gardens for low-income earners. SAGE also provide ongoing support in management of veggie gardens. Narooma Men’s Shed Metal Workshop Sand Blaster Purchase Using existing skills and developing new ones is a big part of the Narooma Men’s Shed. With a 300% increase in requests for metalwork from various local groups, the Men’s Shed plans to install a sand blaster cabinet to enable a safe, efficient environment to broaden their metalwork area capabilities. Volunteer Marine Rescue NSW Rescue Wharf Repair The boating community across the state rely on the efforts of the Marine Rescue NSW volunteers. The Tuross Marine Rescue unit will upgrade their 30 year old decking to allow Marine Rescue Vessels to be ready for quick response to anyone in need. Rotary Club of Bega Rotary Youth Driver Awareness Targeting young people about to apply for their drivers licence, the Rotary Youth Driver Awareness program aims to increase young driver awareness about their safety on the road. Over six modules, year 11 students learn about hazard perception, vehicle braking & design and the impact of their choices. Friends of the Curtis Park Arboretum Inc. Signage for Plants of WA Curtis Park Arboretum displays an increasing range of Australian native plants, providing an inspiring and educational space for people to see and learn about our natural fauna. The Arboretum recently introduced West Australian plants. Signage of these plants will provide botanical and general information about these plants that are rarely seen this side of the Nullarbor Plain. Bega Valley Meals on Wheels The Big Freezer Every year more than 200 volunteers from Bega Valley Meals on Wheels provide over 24,000 nutritious meals to people unable to leave their houses. The purchase of new freestanding upright freezers and upgrades to electrical work (including installation of an emergency generator) will allow for increased food safety and distribution. Noah’s Ark Centre of Shoalhaven Inc. Fun and Fresh Fun and Fresh addresses many needs for the 800 children and young people supported by Noah’s Inclusion Services. An educational chicken and vegetable area aims to improve children’s health, wellbeing and skill development through experience, therapy and education. Bowral Men’s Shed Bandsaw Replacement Comprising 70 members, the Bowral Men’s Shed provides companionship, support, education and assistance for its members. It also supports individuals and groups in the local community. The purchase of a new Bandsaw will increase woodworking capability, safety and efficiency, and enable more members to learn a new skillset. Southern Highlands Botanic Gardens Ltd Gateway to the Garden It is well documented that gardening is therapeutic with mental, physical and social health benefits; and the Southern Highlands Botanic Garden is designed to cater for all members of the community. The Gateway to the Garden will be built from locally sourced Basalt and will provide a clear and welcoming entrance to the Gardens. Rotary Club of Moss Vale U Turn the Wheel 16-25 year old drivers have a crash risk 8 – 10 times higher than experienced drivers. In conjunction with the Road Safety Office, schools, police and emergency services, U Turn the Wheel provides free workshops for year 11 students regarding Attitude and Awareness of driver related issues like speed, fatigue, alcohol, drugs and the use of seat belts. Buxton Community Association Buxton Hall Kitchen Refurbishment Built in 1947, the Buxton Community Hall provides a space for various community groups in Buxton and Picton. This kitchen refurbishment will replace the original kitchen with a modern, safe and functional kitchen that is able to support more community activities. Macarthur Sunrise Rotary Club Inc. Dolly Parton Imagination Library Directed to low socio-economic and disadvantaged communities, The Imagination Library addresses and nurtures early childhood literacy. Every month, registered children up to 5 years old, receive a specially chosen book, giving literacy support to children who may not have the opportunity to access it. St John’s Ambulance NSW First Aid Trailer St John’s will purchase a CUB Kakadu off road camper trailer to provide first aid treatment in a wide variety of situations. The camper trailer, which will replace an older model, will provide vital emergency equipment including Oxygen, Defibrillators, Analgesics and hot water and cooling facilities for treatment of patients. Victor Chang Cardiac Research Institute Heart Health Check Booth 90% of Australians have a least one modifiable risk factor for heart disease. The Heart Health Check Booth provides free testing of modifiable risk factors including high blood cholesterol, high blood pressure and diabetes. Convenient and quick tests aim to help people understand results and take steps to better heart health. Lynwood Park Rural Fire Brigade Hydrating Firefighters Bravo 1, housed at Lynwood Park RFS Brigade Station, is Macarthur Zone’s spare fire truck. Bravo 1 replaces firetrucks undergoing maintenance or deployed elsewhere right across the zone. Bravo 1 is set to get a fridge to enable firefighting crews and the general community access to essential cold water in extreme conditions. Teddy Bear Cottage Kinder Care Kinder M8 software allows teachers to keep parents in touch with their pre-schooler’s day. Teddy Bear Cottage will install this software enabling faster, more efficient communication with parents, leaving staff more time to provide quality care. PCYC Liverpool Lyrics of Liverpool Lyrics of Liverpool is a 10 week program that blends life-skill workshops on topics including bullying, self-esteem and anger management with creative expression, song writing and musical skills development. The program aims to reach at least 60 young children in Liverpool. Mark Grundy Oesophageal Cancer Awareness Group Inc. Oesophageal Cancer Awareness Project Oesophageal cancer is a lesser-known cancer, but has experienced rapid growth in prevalence and diagnosis in recent years. This project aims to increase awareness in the GP and general community, enabling people to identify early symptoms and warning signs. Disabled Surfing Association Safety and Exposure Over 24 years the South Coast Disabled Surfers Association has engaged 3,700 disabled participants and 14,600 volunteers. Over three ‘Hands-On Days’ across the Illawarra and South Coast each summer, participants get a real surf experience catching waves on a soft surfboard. DSA uses colour-coded rash vests to ensure high safety standards at each event. Funding will allow for the replacement of rash vests and the purchase of two large tents. Royal Life Savings Society Belconnen Swim & Survive Children who know how to swim and behave safely around water are at a reduced risk of drowning. Not all Australian children have access to the learn-to-swim programs that provide this knowledge. 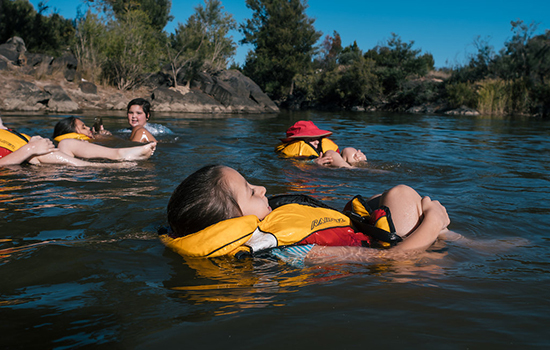 The Swim & Survive project delivers 10 free lessons to children who have missed a formal water safety education, and teaches vital skills like floating, sculling and breath control exercises. Lions Club of Strzelecki Cows Create Careers Hand on learning at its best. Students learn about the dairy industry while caring for dairy calves on loan from local farmers. Cows Create Careers connects farmers and students and provides opportunities for students to learn about opportunities within the industry. Goulburn Regional Art Gallery Disability Outreach Workshops The Goulburn Regional Art Gallery aims to ensure that its programs and activities are available to everyone in the local community. Disability Outreach Workshops provide up to 72 art workshops at three facilities across Goulburn, allowing those with a disability or mobility restraints important access to creative activities. Belconnen Baptist Church Inc. Improving Men’s Mental Health Mental Health is an issue affecting many Australians. 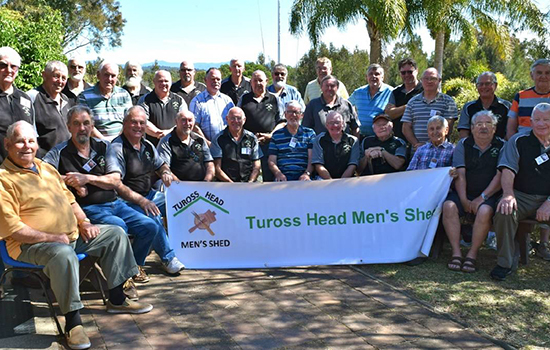 The Belconnen Community Men’s Shed aims to improve the mental health of its members and the wider community by providing training in how to recognise and treat mental illness. Rotary Club of Goulburn Inc. U Turn the Wheel L and P plate drivers have access, through their local school, to interactive sessions with police and ambulance personnel, brain injury professionals and patients, and drug and alcohol awareness experts with the aim to reduce youth involvement in road trauma. Australian National Botanic Gardens Who Did That Trail Extension The Australian National Botanic Gardens ‘Who Did That Trail’ is getting an extension. Work is currently underway on a Treehouse Gazebo at the gardens, this project will extend an existing children’s trail to encompass the new addition. 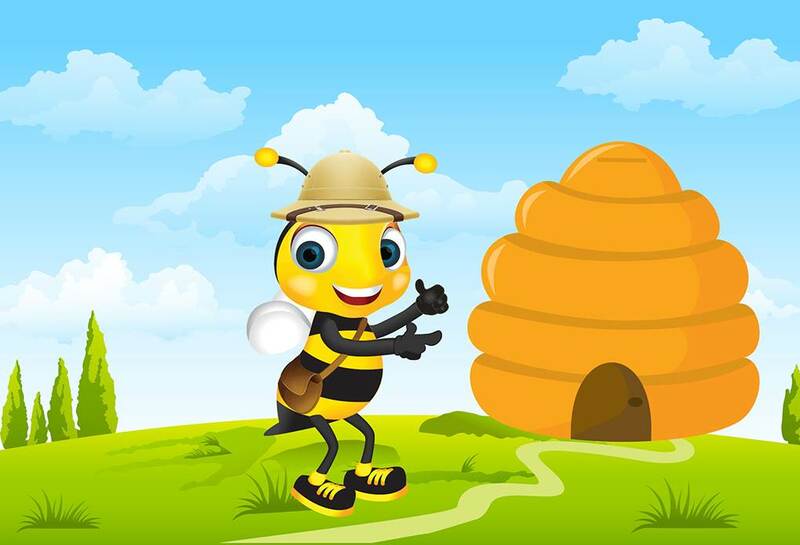 The trail will feature hands-on activities and model animals encouraging learning through play in the great outdoors. Homework Hub The CareSouth Homework Hub provides a safe, calm learning environment for students in CareSouth’s Foster Care and Brighter Futures programs. Homework Hub relies on volunteers to help students with their work. Volunteers also mentor the students and provide positive role modelling. The Homework Hub also fosters and encourages further education and career planning. This will allow students in care to break the cycle of disadvantagement and to give back to their community. The Homework Hub also gives volunteers, many of whom are University and TAFE students, an opportunity to gain hands-on experience in their chosen fields. 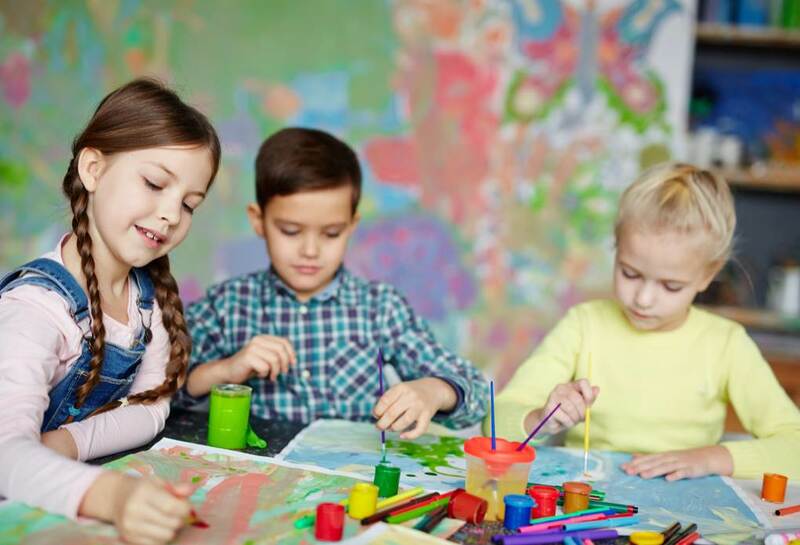 Illawarra Community Sensory Room The funding will assist with the development of a community-based, multi-sensory room (MSR) for children and adults living with disabilities or mental health issues in the Illawarra/Shoalhaven. An unused office at Horsley Community Centre will be refurbished to provide controlled sensory experiences to stimulate primary senses, encouraging relaxation which has been shown to positively impact upon behaviours. 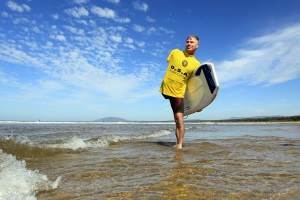 Maintaining Safety for Disabled Surfing The Disabled Surfing Association has been running on the South Coast for 23 years with a perfect safety record. The project will sustain this track record by providing equipment and training enabling disabled participants to enjoy a safe surfing experience. Without this volunteer service, disabled people would be disadvantaged and unable to enjoy the surf, especially a wave-riding experience that many abled people take for granted. FSC Knights The FSC Knights is an initiative facilitated by Football South Coast with the assistance of The Disability Trust. The program allows participants with special needs to train and play soccer on a weekly basis as part of the mainstream football competition. Foxground Community Communications The IMB Bank Community Foundation grant will provide better training facilities for the Brigade members and other visiting RFS brigades, and improved communication through education in the community. Life Education Illawarra Truck The program is delivered on-site at various primary schools and pre-schools throughout the Illawarra, through the utilisation of Mobile Learning Centres. These mobile classrooms are built like theatres, which enable programs to be delivered in a creative, interesting and entertaining way at schools. IMB Financial Literacy Program Funds invested in the development of an IMB Bank financial literacy program. Need a Feed Need a Feed partners with several organisations to provide emergency food relief to locals in need. 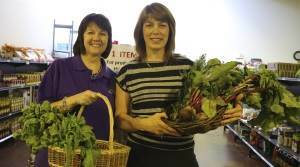 They also collect food that would otherwise have gone to landfill and redistribute to local community organisations. 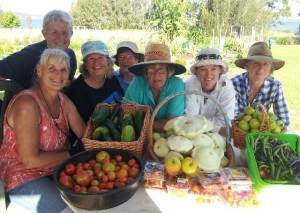 Growing food, jobs and community This project will develop 4,000 square metres of a urban farm (a 3.2 hectares site at Warrawong High School) as a new area for food growing. It will create jobs and support for resettled refugees and young people, provide more local food production and be a demonstration site for urban food growing. 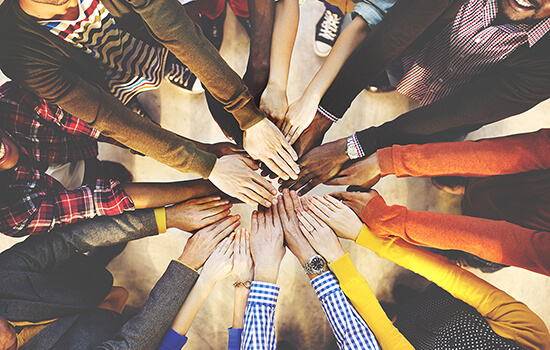 Community connection development will be a collaboration between young people and former refugees employed to work on the project and volunteers from the community. It will set up a site for food production, employment, long-term community connection and capacity building. Chemo Care Kits The Chemo Care Kit program was launched in December 2012 and, since that time, Raise The Gong has distributed more than 1000 kits to local women commencing chemotherapy for the first time at Wollongong Hospital. 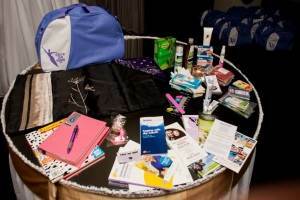 The kits have grown over time and now contain around $200 worth of items, samples and vouchers. Each inclusion in the kit is carefully selected to ensure it is a product or service that will benefit the women receiving the kit. Mental Health First Aid Courses Funding will be used to contribute to the running of two free, mental health first aid courses for the Kiama Community in early 2017. The courses are delivered via a public forum and are conducted by a well-known educator in mental health. The courses provide an opportunity to those who are not in a position to pay for education in mental health to learn more about the issue. SCARF Vibrant Volunteers Program This project seeks to strengthen SCARF’s support to its valuable volunteer network and to enhance the service-provision to refugee families. It involves the development of responsive and engaging volunteer coordination and supports processes to improve SCARF’s capacity to respond to the critical and evolving needs of refugee children, youth, adults and older people from Africa, Asia and the Middle East. Scouts and mental health first aid Scout leaders in Wollongong will be trained through a program to better manage mental health issues that may arise from time to time with young people. 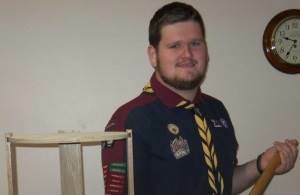 The outcomes of the project will help minimise the stigma associated with mental health and become part of a program provided to all scouts for general and improved awareness for all. Establishment and fit out of new premises The Thirroul Men’s Shed will refurbish an existing railway shed to provide new premises for workshop activities, training and welfare for men from the community to actively contribute to personal and community projects/activities. Roger Soden Scholarship Year 4 The Roger Soden scholarship provides funding for a student at the Wollongong Conservatorium of Music. 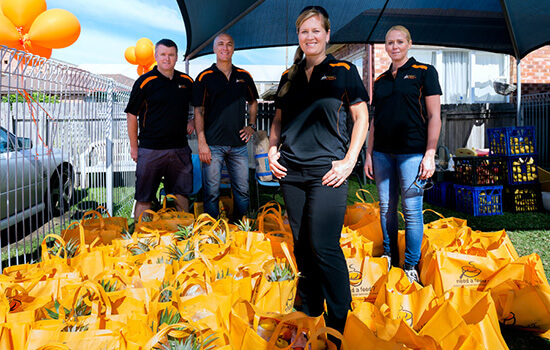 Community Volunteering Project The project aims to connect students with already-established programs and projects run by charity and not-for-profit organisations in the Wollongong community. It addresses various community needs through providing skilled and motivated volunteers to assist organisations in achieving their objectives in a variety of ways. Attitude Books Project The funding will support a program, “A for Attitude”, which is provided to Grade 3 students. Each student will be given their own personal copy of “A for Attitude”, a life-skills resource that tackles the issue of anxiety and depression in young children. The project has been extremely successful in building self-esteem, lowering anxiety in children and offering families the opportunity to connect at a deeper level than ever before. experiencing financial hardship, including assistance with food, clothing, computers and debt management. With the help of IMB, Canberra City Care will expand its services to create the Harvest Garden and Kitchen to grow fresh produce, provide hospitality training and create healthy affordable meals for those on a low income. Rotary Club of Goulburn Inc.
U Turn the Wheel Students are transported to and from the Goulburn TAFE campus to participate in a day-long program consisting of 6 x 35-minute interactive role play sessions with police and ambulance, brain injury specialists and patients and drug and alcohol personnel. Other topics covered include first motor vehicle purchase and large vehicle awareness. The program is followed by three ‘Log Book Runs’ through the year where participants are put through a rally-style drive incorporating various traffic controls and driver challenges. This terminates at the NSW Police Driver Training School where demonstrations on defensive driving, skid control and breaking techniques are conducted. 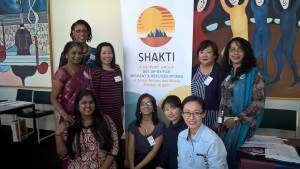 Shakti Migrant and Refugee Women’s Support Group Melbourne Inc. 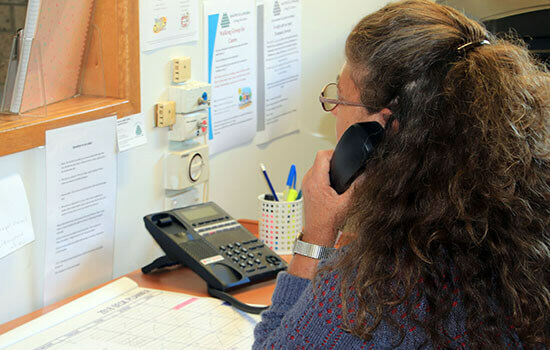 The Scoresby-based, culturally-specialist multilingual crisis-line is manned by local volunteers that speak at least two different languages. The team is trained extensively in cultural analysis within the domestic violence framework. 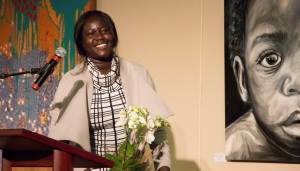 The funding for this project will enable vulnerable women and girls of Asian, African and Middle Eastern cultural backgrounds at risk of culturally-sanctioned oppressive practices such as child forced marriage, honour-based violence, dowry violence and female genital mutilation to access culturally-specialist domestic violence crisis services in their mother-tongue. St John Ambulance Australia (ACT) Inc. Bicycle Emergency Response Team (BERT) St John’s Ambulance BERT First Responder teams are trained volunteers who use bicycles to quickly go through crowds at major events to attend emergency situations. The project greatly enhances the St John ACT clinical response times and capacity, directly addressing the community need. The funding will provide new bikes for St John Ambulance. Work Bench Lighting The SES and RFS volunteers share the Bungendore emergency services building. Both organisations maintain and repair equipment vital to their community roles. Currently, the shared work bench has no direct lighting and, as most equipment maintenance is done in the evening, this has meant these activities are difficult. The funding will provide new lighting over the work benches. Funding will be used to provide a suitable trailer to store and contain documentation, teaching aids, education material and examples of fire fighting equipment to educate primary school children and local residents concerning all aspects of bush fire prevention, response and safety. Music with an Upside Upside Events has been established to raise funds for mental health charities by hosting ticketed live music events, with proceeds donated to a range of mental health charities in the ACT. The project will start small with a few music events in 2016, with the intention to build this over time. 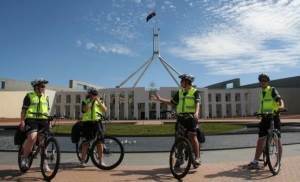 This will offer a great enduring opportunity to the Canberra community, not only through the fundraising efforts, but a commitment to raising awareness of the issues facing people with a mental illness. Outdoor Cob Shelter and Cooking Oven The 1st Appin Scout Group provides community outreach activities for the local communities at Appin, Wilton, Douglas Park and Macarthur. IMB Bank has funded an outdoor cob shelter and cooking oven that will be created from mud bricks made by the Scouts, then installed and used by the Scouts, and other community groups, to produce food using the age-old process of outdoor cob cooking. Camden Literacy Gardens Five literacy gardens will be developed on the Camden Town Farm site, each reflecting a children’s book. In the first garden - The Three Little Pigs - three little houses will be constructed so parents and children can read the book and talk about its contents. The project addresses the needs of all young children to be assisted by parents and siblings in acquiring adequate literacy skills. Look Good Feel Better Workshops Look Good Feel Better workshops help cancer patients build the confidence they need to not withdraw from their life. Trained volunteers teach participants how to manage skin redness and dryness, how to draw on eyebrows and also how to give the illusions of eye lashes if they have lost them. Men learn grooming techniques and how to look after their skin as well as options like tinted moisturisers to help with colour correction. A local wig provider also attends to showcase the many different head-wear options like wigs, scarves and hats. MediSim Trauma Care Workshops CareFlight’s MediSim program provides paramedical training to emergency services volunteers who may be the first to reach incident scenes and treat critically injured people in regional areas. The skills, knowledge and confidence required to deal confidently and capably with critical patient situations until medical professionals arrive are vital to these volunteers being able to change or save a life. Safe Education Program The Dandelion Support Network provides pre-loved and new car restraints to families in need, free of charge, via their social workers. This pilot project is designed to educate social workers on car restraints and their correct installation via a series of seminars, designed by car restraint experts from Hire For Baby. The project also looks to provide financial assistance so disadvantaged families can have the car restraints correctly fitted by an installation professional from Hire For Baby. Learning for Life The project entails building a sustainable area for creativity and learning for life at MCSL. The centre has put several areas aside to develop a wet/dirt kitchen with a shade shelter for children 0-5 years and a large shelter to conduct open air educational workshops to reinforce sustainable lifestyle choices for the community. This project will address the needs of 0-80 years olds in a fun, sustainable learning environment in the Macarthur Region. Oesophageal Cancer Awareness Project The project’s main goal is to increase awareness of oesophageal cancer in the greater NSW community. The fastest growing cancer in terms of prevalence and diagnosis in Australia, education is key to ensure the community is able to identify symptoms and warning signs and work with their doctor to maintain the best possible health. 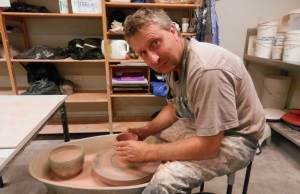 49th Port Hacking Pottery Competition The funding will be used to stage exhibitions so the community can see the work of artists of various levels. It is hoped to provide experiences for the community to participate in actual sculptural building of forms using clay. The project will also allow volunteers to learn about marketing, advertising, technology, sponsorship and the implementation of an exhibition. Heart Health Check Booth The Heart Health Check Booth is a fully mobile and portable service that can be set up in any convenient location to bring heart health testing to the community. The testing is provided free to the individual and measures blood pressure, total cholesterol and blood sugar levels, providing information on modifiable risk factors and healthy heart habits. Friends of Milton Library Inc.
Milton Library The project aims to increase the use of the library by the community, allowing the space to be used by groups who have no facilities or limited funds to rent facilities. The funding will be used to purchase new moveable shelving, creating more space in Milton Library so literary programs such as book clubs, story time, creative and poetry writing classes, book week activities, literacy programs, author talks and homework assistance can be delivered to the community. The Library will also be able to accommodate community events such as Artfest. Riverlights The Riverlights project takes place over six months and encompasses a series of twice-weekly, artist-led, open community workshops to build giant, illuminated floating lanterns, culminating in an exhibition of the floating art works, towed by paddlers and moored on the Moruya Riverside Park. Engaging up to 30 community, interest, art, school and family groups, Riverlights brings together socially, culturally and economically diverse individuals from all walks of life, in the planning, developing and undertaking of the workshops and also brings together many thousands of members of the local and wider community. Fire Truck Power Inverters The brigade has two fire trucks and the funding will facilitate the purchase of 12VDC-240VAC Power Inverters to be installed on each truck. This will allow crews to use common electrical tools and to recharge batteries for hand-held radios if in the field for long periods. a day, seven days a week and will be updated. The current equipment will then be available for outdoor broadcasts. Lions Club of Strzelecki Inc.
the students to modern techniques. Electricity Generator The funding will be used to provide emergency lighting at motor vehicle accident sites or fighting fires in remote areas when emergency communications are necessary. 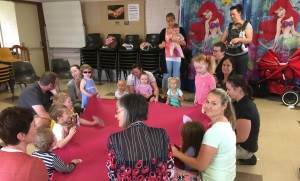 Bega Birth to Kindergarten The funding will assist the Early Childhood Nurses from Bega Community Health to provide books to new mothers at their six-weekly visit after the birth of their child. The objective is to encourage reading in children from birth onward, stimulating optimal patterns of brain development and strengthening parent-child relationships. ‘Roof on the ground’ water system A free workshop will be held to educate the community about the design of a new roof-on-the-ground water system and it will then be installed as a permanent system at the Tuross Community Garden. This will be followed by another free workshop to decorate the new system with mosaics. Narooma Toy Library Outdoor Playground The Narooma Toy Library and Play Cafe is a recent, unique initiative that has been operating in the Anglican Church Hall for 12 months. It has been well received by families with young children from 0-5 years. The children enjoy the opportunity to play with new toys and the families welcome the fact that there is a minimal borrowing cost which relieves the financial burden of buying toys. The project funding will allow further facilities to be built outdoors with a new play area housing various pieces of equipment and incorporating tables and seating for parents and carers. Australian Chinese Culture Exchange and Promotion Association Dancing for Health and Fun This project will run regular Chinese folk dance sessions for children and adults and create a number of dance performances to enhance culture diversity for various community festivals. The project aims to improve the fitness and happiness of local community members, and to foster artistic creativity and social interaction through group dance activities. Belconnen Baptist Church Inc. Opshop Refurbishment and OH&S Improvements Another Chance Op Shop commenced over twenty years ago in response to the need of low income families in the Belconnen area for clean second hand clothes and other small household items at greatly reduced prices and to provide a friendly place for a chat and a helping hand. To maintain this program for the benefit of the ACT community, the refurbishment will update the shop, making it a neater, tidier and a safer working environment. Belconnen Baptist Church Inc. Men's Shed Program Extention Project This project will extend the range of programs offered by the Belconnen Community Men’s Shed by enabling a range of metalworking programs to be introduced. The grant funding will facilitate the purchase of sheet metal working and welding equipment and the necessary training for safe operation. Community Programs Association Inc. Recyclery Recyclery employs people with a disability (targeting people who have never worked before) to fix old bikes for re-sale. This project will provide training opportunities to increase the skills of the work force to increase productivity in the workshop, consolidate our current sales strategy and work with our point of sale community partners to increase sales. The project will also research, explore and develop new opportunities for the Recyclery to expand it’s income streams. Tuggeranong Uniting Church Erindale Neighbourhood Garden The Erindale Neighbourhood Garden is an innovative new non-profit garden in the heart of a community-zoned precinct in Canberra, built by community organisations and local residents, driven by an inclusive ethos, and managed by Tuggeranong Uniting Church. Through gardening activities, its purpose is to tackle at a local level a range of well-documented social and health issues, including childhood obesity and unhealthy eating choices; disconnected and under-skilled youth; marginalised disabled; and isolated and lonely elderly. Goulburn Loco Roundhouse Preservation Society Inc. Goulburn Railway Heritage Oral History Recording the oral history of current and retired railwaymen electronically and in print for the education of future generations. Also to provide a resource for historians writing the history of railways and railwaymen, particularly those associated with Goulburn. U Turn the Wheel The U-Turn the Wheel program is designed to specifically address the attitudes and awareness of driver related issues such as speed, fatigue, alcohol, drugs and the wearing of seat belts, all of which have been identified as major contributors to road casualties among our young drivers. The program is offered to all year 11 student throughout the Goulburn and Upper Lachlan district and is run over a 2 day period. Capital Country Industry Education Partnership Inc. Qupcakes Qupcakes is a local Queanbeyan initiative in which young people will create and manage their own business, and through this develop practical, business and employability skills and build stronger connections with their local community. Qupcakes participants will work as a team to develop this business model, and design, prepare and sell their cupcakes at a variety of community events. Queanbeyan Children's Special Needs Group Inc. Treehouse Kids Sensory Gym The IMB Treehouse Kids Sensory Gym is a specialist developmental education and therapy facility that supports children with disabilities to improve their sensory processing and integration skills. Children and families are going to love coming to play in this coordinated environment designed to build each child’s capacity to enjoy full inclusion in community life. Dapto Rural Fire Brigade Kitchen Upgrade The funding will help upgrade kitchen facilities by providing a mobile serving/work bench with storage underneath and two new refrigerators for the kitchen in the Fire Station. Illawarra Drug Awareness Group Ltd Life Education Illawarra Truck The program is delivered on-site at various primary schools and pre-schools throughout the Illawarra, through the utilisation of Mobile Learning Centres. These mobile classrooms are built like theatres, which enable programs to be delivered in a creative, interesting and entertaining way at schools. Illawarra Robotics Team Inc. The League of R.O. Gentlemen The project involves designing and building a robot, developing community interest in robotics and introducing young people to robotics, maths, science and engineering through workshops at schools and other community facilities. Illawarra Sports High School Tech Savvy Students and Seniors Illawarra Sports High School students will visit local nursing homes weekly and teach local senior citizens how to effectively use iPads. Lawrence Hargrave Centre Celebrating Centenary of Lawrence Hargrave Lawrence Hargrave Centre has 22 events planned for the Centenary Year celebrating the achievements of Lawrence Hargrave and the ICF Funding will assist in providing these events to the community. Lions Club of Strzelecki Inc. 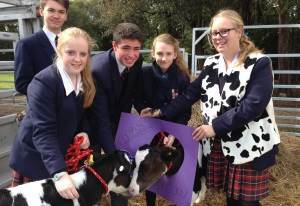 Cows Create Careers Cows Create Careers is a Strzelecki Lions Club project which was established in 2004 to promote the career and education opportunities for students (Years 7-11) in the dairy industry. These students learn about the dairy industry while caring for dairy calves on loan from local farmers. NZ House NSW - Need a Feed Need a Feed Need a Feed partners with several organisations to provide emergency food relief to locals in need. They also collect food that would otherwise have gone to landfill and redistribute to local community organisations. Raise The Gong Inc. BRCA Genetic Support Group Raise The Gong, in conjunction with Dr Sian Greening, Genetic Counsellor at Illawarra Health, will be providing a support group to local women who have been diagnosed with the BRCA gene, which is linked to cancers such as breast and ovarian. Rotary Club of Kiama Inc. Mental Health First Aid Courses Funding will contribute to the running of two free mental health first aid courses for the Kiama Community. Rotary Club of Wollongong Rotary BBQ Trailer Funding will facilitate construction of a community BBQ trailer which can be used at various community events, activities and functions. Shellharbour City U3A Inc. Learning for Pleasure The Learning for Pleasure program involves holding courses that stimulate physically & mentally, social outings & informative talks on subjects pertinent to senior residents. All activities aim to reduce social isolation & loneliness. Southern Youth and Family Services Association Inc Youth Training Cafe SYFS has recently built a Youth and Family Services Hub in Warilla. The Youth Training Cafe project will equip the large kitchen for hospitality, cooking and barrister training and provide opportunities for young people to train and practice hospitality skills. St Vincent de Paul Society NSW Stepping Out The IMB Community Foundation Grant will assist the St Vincent de Paul Social Recreation Group’s “Stepping Out” project to support 34 Illawarra community members with a mental illness to improve their health and wellbeing, through developing an ongoing exercise program and purchase of new sporting equipment. Strategic Community Assistance to Refugee Families SCARF Inc Young Refugees Project The project will develop and deliver activities to support and strengthen young people who have settled in the Illawarra as humanitarian entrant refugees and promote community harmony. University of Wollongong - IMB Ltd Partnership Early Start Discovery Space Funding has been provided to support the Early Start Discovery Space, a hands-on creative venue for children from birth to 12 years of age. The Discovery Space is Australia’s only dedicated children’s museum. Wollongong Conservatorium of Music Roger Soden Scholarship Yr 3 The Roger Soden scholarship provides funding for a student at the Wollongong Conservatorium of Music. The project includes the development and promotion of specialised and accessible resources for adults, young people and children who are survivors of child sexual assault and support for the wider community. Woonona High School Woonona High School Dance Studio An under-used classroom space will be converted into a dance studio, in order to benefit Woonona High School students and members of the local community. 1st St Geoges Basin Scout Group Canoeing program Funding will assist purchasing two canoes for Cubs, Scouts and Venturers. Participants will learn skills in water safety, canoeing skills and improve physical fitness. 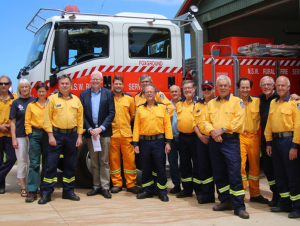 Bega Mens Shed Inc. Make our new shed safe The newly opened Bega Mens Shed will install safety equipment, fire extinguishers, smoke alarms and signage, so members can start to use the array of donated machinery to make items for community groups. Eden Foreshores Landcare Group Inc. Lake Curalo Walk and Foreshore This project will assist Eden Foreshores Landcare Group Inc. in initial and ongoing running costs in the development of the soon to be constructed Lake Curalo Walk, and Foreshore maintenance. Lady Denman Heritage Complex Huskisson Inc. Completing Restoration of the 'Crest' Based at Jervis Bay Maritime Museum, Huskisson, this project is to complete the full restoration of the historic fishing boat ‘Crest’ to a seaworthy condition. ‘Crest’ was built in 1911, the same year as the Lady Denman ferry; both were built in Huskisson by the Dent family. The Legacy Club of Queaneyan Eden Monaro Inc. Far South Coast Group Workhorse colour printer Purchase industrial grade laser printer to assist with the production of regular newsletters and promotional material for the War Widows community. Merimbula Public school Parents & Citizens association IMB Cyber Safety seminars Workshops will provide parents, caregivers,primary school children and community members with awareness on cyber bullying, safe and unsafe apps, setting up filters, age limits on social media apps and taking responsibility for families safety online. 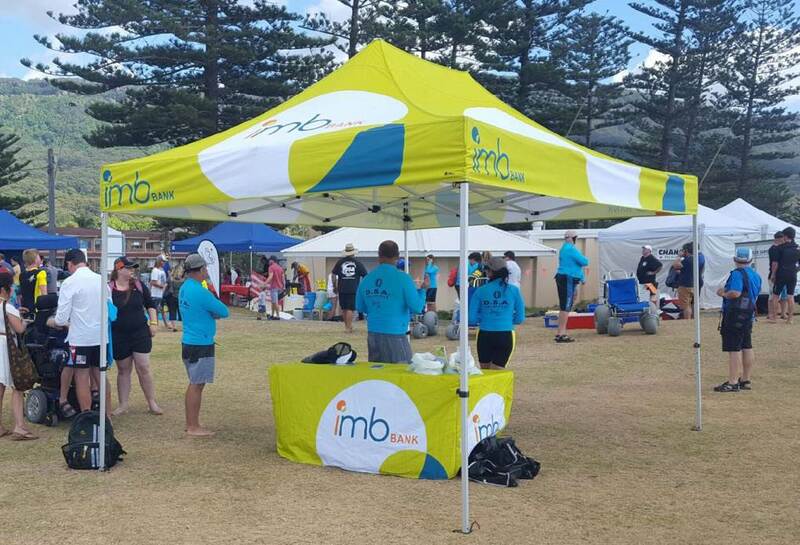 Moruya Surf Life Saving Club Inc Moruya SLSC Special Nippers The program aims to provide a beach experience for children and adolescents with physical and intellectual disabilities. 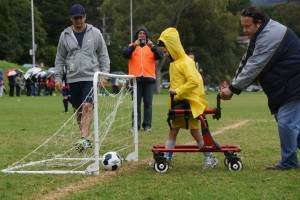 Some Special Nippers are restricted to wheelchairs while others are vision impaired. Being able to get on a surfboard and ride a broken wave into the beach is an experience that would not be possible without this program where members of the community join the club to help deliver these experiences. Nowra East Public School Parents & Citizens Association Inc. Community Grden Learning/Seatin Circle Development of a permanent Learning Seating Circle that will enable students and community members to sit comfortably within the community garden for various learning and community activities. The Learning Seating Circle will be a focal point for learning activities and community activities as well as a place from which the garden can be viewed and accessed. Shoalhaven Libraries Building Brighter Babies Shoalhaven libraries is proud to be delivering it’s exciting project titled Building Brighter Babies. The project will provide new born babies at Shoalhaven hospital (over a twelve month period) with a quality children’s picture book. The objective is to encourage reading in children from birth onward, and instil an appreciation of reading that will continue into the future. SouthernCare Incorporated Pantry Club Expansion Project This program will expand capacity to deliver the Pantry Club program and improve overall service delivery to vulnerable & disadvantaged people & families. TeenSafe TeenSafe safe driver education program This program will deliver practical behind-the-wheel safe driver awareness training programs for teenagers. Bowral Men's Shed Inc. BMS Web portal This project is to introduce Web Portal for the Bowral Men’s Shed. The aim of the project is to provide members and the local community with online up to date information, creating a website that gives a insight into to what the Bowral Men’s Shed is all about. Communication with members will be greatly improved through posting of, upcoming coming events, activities, project, policies and membership documents etc. Highlands Community Centres Inc. Youth Hub Cafe Development of existing café kitchen at the Highlands Youth Hub to commercial standards to allow training of unemployed 18-25 year olds who want a career in the hospitality industry. Rotary Club of Moss Vale U Turn the Wheel Deliverly of an intensive course to 500+ year 11 high school students in driver training, emphasising road safety awareness, peer pressure & risk taking. The project funding will assist in the installation of a centralised dust collection system to ensure the health and well-being of the members, together with a fence to provide security for the external collector and reduce the incidence of graffiti on the building. Shirelive Limited Shirelive Youth Synergy Schools Conference is a multi-school conference held at Shirelive auditorium reaching over 500 students aimed at empowering young people to succeed in all areas of their life. The Schools Tour is a dynamic school tour reaching up to 8,000 High School Students in one week with full school assemblies and performances, and year group specific performances and sessions, encouraging students to overcome the challenges that they face and become all they can be. Sylvania Heights Public School Kind Kids Club The grant provides funding for a Kind Kids Club that involves running a play therapy program for students at Sylvania Heights Public School with anxiety, autism, behaviour or social disabilities. The program will use student leaders and trained adults to teach students resilience and social functioning through play. 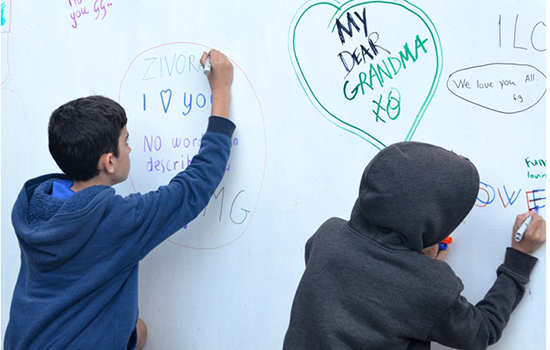 PCYC Parramatta Stand Tall The purpose of the program is to interact and educate and enable an interaction between youth at risk of becoming detached from schooling, due to either behavioural issues, or learning difficulties. The program will aim to direct youth at risk away from making negative decisions in their life that may affect their future development. Victor Chang Cardiac Research Institute Limited Health Check Booth The Health Check Booth is a fully mobile heart health testing service that comes to you, testing blood pressure, total cholesterol, blood sugar levels and aiming to help people understand how to keep their own heart healthy by providing information on heart disease risk factors and healthy heart habits. PCYC Campbelltown PCYC Campbelltown Sport Outreach PCYC Campbelltown’s Sport Outreach is an innovative concept to extend influence in the community. This project will involve the manufacture of a custom built trailer which will be fitted out with a range of sporting equipment for use in the Macarthur region. The trailer will serve multiple purposes and be used up to 15 times per month to visit schools, parks, attend events, conduct targeted programming focusing on young people congregating at known “hot spots” as well as providing an activity service to young people living in outlying areas. Schizophrenia Fellowship of NSW Inc. Birunji AMHU Recreational Space This project aims to turn vacant outdoor spaces into exercise areas, sensory gardens and veggie gardens providing passive and active recreation and education about healthy living skills through growing,planting, picking, preparing and cooking - resulting in positive benefits both physically & mentally to support their recovery. 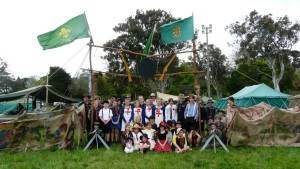 The Scout Association of Australia New South Wales Branch Canoe Purchase Through Scouts young people build confidence, self esteem, and leadership skills. Cobbitty Scouts will purchase two canoes to teach young people canoeing and safe use of watercraft including safety gear (life jackets, paddles). Belconnen Baptist Church Inc. Shed Health and Safety Install first aid & safety equipment in the men’s shed to upgrade standards (to include welding & metalwork). Volunteer trainer to organise structured training programmes & document formal policies & procedures for members. Community Programs Association Recyclery Upgrade to Recyclery project with access to all bicycles at the Green Shed tip, giving potential to triple throughput, increasing employment & training opportunities for disabled people. Repaired bikes on-sold to students & community. Parkinson's ACT Inc. Dancing for People with Parkinson's Deliver innovative dance classes for people with Parkinson’s & their friends, focusing on specific concerns such as mobility, balance, rhythm & flexibility in an enjoyable, social & communal environment. Rotary Club Of Canberra Young Driver Awareness Campaign Deliver RYDA Young Driver Awareness program to up to 1200 school students, with emphasis on road safety awareness, peer pressure & risk taking. Rotary Club of Goulburn Inc. U-Turn The Wheel Deliver intensive courses for year 11 high school students in driver training, emphasising road safety awareness, peer pressure & risk taking. SouthCare Helicopter Fund Snowy Hydro SouthCare Education Program Educate school children about safety awareness & how the local rescue helicopter contributes to the health & wellbeing of the South Eastern communities. St John Ambulance Australia (ACT) Inc. Event Health Service Clinics Establish six portable health clinics for St John ACT Health Care Professionals & First Responders to operate from when deployed at community events. Tallong Public School Centenary Celebration and Commemoration Host two events in October 2014 to celebrate educational milestones. Strong educational theme on history & heritage over past 150 yrs; create a publication with both living & past history. 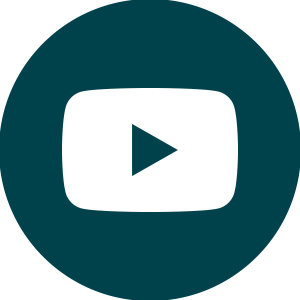 Vision Australia Ltd. DAISY Online - Bridging the Online Divide Upgrade & connect “DAISY” online to enable members to read audio books, newspapers & give them access to a wide range of information & education. Bulli High Environment Sustainment Deliver an environmental preservation project that focuses on student involvement, community participation & building practices that will sustain the environment of the school community. City of Wollongong Eisteddfod Inc. Eisteddfod Electronic Lodgement New technology to allow parents, competitors, teachers, organisers & volunteers to submit backing tracks for vocals or dance & poems for speech & drama sections to a central hub, to reduce performance errors & omissions. Friends of Curtis Park Arboretum Birds of the Arboretum Assist visitors to identify the various birds with picture signage & an information booklet. George Cross Falcons Club Carpentry Workshop Upgrade & improve existing carpentery workshop (tools, timber, paints & brushes) to enable team to increase output of toys & useful items for disadvantaged & sick children. Killalea State Park Trust Killalea Valley Regeneration Project Launch the Valley Regeneration Project which aims to restore the natural vegetation in the valley area behind the lagoon & increase community volunteerism. Lions Club of Strzelecki Cows Create Careers Introduce students to various careers in the dairy industry with an academic & hands-on training module, which includes bringing calves into schools. NSW Police Force - Wollongong Police Getting On In Wollongong Develop two educational videos in relation to staying safe, crime prevention & accessing help, for international students & newly arrived refugees, featuring local police, volunteers, life guards, emergency workers & university students. PCYC Wollongong Break Free Cafe Provide young offenders, youth at risk & disadvantaged youth who are being case managed by Wollongong PCYC Police Youth Case Managers, with skills to enhance work opportunities in the hospitality industry. Peterborough School Disability Options Directory Compile, print & distribute to 400+ people at annual Disability Expo a “Disability Options Directory,” covering education, post-school services, government/non-government services, leisure & recreational services & web guides to service providers. Rotary Club of Corrimal Inc. Imagination Library Illawarra Promote literacy & a love of reading so children start school ready & keen to learn, by posting registered preschool children an age appropriate book with tips sheet for parents each month. Run two free, nationally certified mental health first aid courses for the community, youth & particularly carers to raise awareness of mental health issues. in a coastal lifestyle & the importance of water safety knowledge & practices. & create job opportunities whilst also providing a place for community groups to meet. Wollongong Conservatorium of Music IMB/Roger Soden Scholarship Year 2 Provide a scholarship (annually over 5 years) for a student musician at Wollongong Conservatorium. Wollongong Workshop Theatre Inc. Workshop Theatre Digitise & create hard copy of all archives of Wollongong's oldest theatre company, for donation to library or museum. Crossing Land Education Trust Young Leaders in Sustainable Land Management Connect motivated year 10 agriculture students in S.E. NSW with sustainable land management practices, experience, mentors & traineeship options, including support to achieve a UNESCO Young Masters on Sustainable Development & development of an innovative sustainable agriculture project. Eden Marine Centre Ltd. Marine Debris - Clean up your act! Sapphire Coast Marine Discovery Centre will work with local schools to 'clean up their act' by having students tidy up the local beaches, whilst learning about marine debris, its environmental impact & what they can do to help. EuroSCUG INC. Internet Savvy Seniors Extend the successful 'IMB Cyber Classrooms for Seniors' project by offering hands on training by seniors for seniors, using tablets, smartphones or other computers. Database Computer Replace membership database computer for "Legacy," an assistance program for the families of men & women who served in wars involving Australia & have since died. Murramarang Mens Shed Inc. Equip the Murramarang Mens Shed Purchase tools to enable the Murramarang Mens Shed to construct its shed, participate in community projects & assist people in need in local communities of Termeil, Bawley Point & Kioloa. Narooma District Woodcrafters Association Inc. CNC Router Acquire & install computer-numerical-controlled router & software in order to train supervisors & develop courses for members, other clubs & high schools. SouthernCare Inc. Pantry Plus Expand facilities in Food Pantry to improve capacity to deliver to vulnerable & disadvantaged people & families; includes “domestic” training. BCD Community Care Inc. Youth/Carers Mentoring Program Launch Youth Hub to provide: BBQ cooking, meal preparation, cleaning, movie social nights, social media training & after-hours youth & young carers development in a safe learning environment. Rotary Club of Moss Vale U-Turn The Wheel Deliver intensive course to 500+ year 11 high school students in driver training, emphasising road safety awareness, peer pressure & risk taking. Gardens Ltd. Plant Education & Propagation Area Seed funding to expand facilities to provide chemicals & equipment storage to support propagation & protection of endemic & rare plant species to develop the gardens. 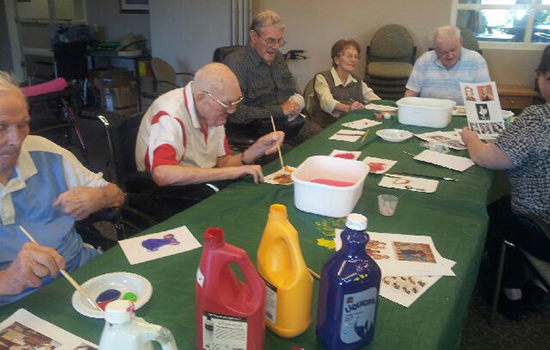 including art classes, floral work & skills enhancement to encourage companionship & assist with independent living. Camden Mens Shed Camden Mens Shed Centre Build a new shed to house equipment & operate a training centre for members & young people to work together. PCYC Liverpool Fit for Life Deliver the “Fit for Life” 10 week project to young people, that assists in developing skills & attitudes for their futures, including leadership & self awareness, exercise, nutrition & community engagement. Robert Townson High School Older, Wiser and Learners (OWLS) Team Two groups of year 10 & 11 boys to visit aged care facilities in the Macarthur region, to work with older men in a companionship program of playing games, music, talking, reading & mentoring. & to re-engage with education. Port Hacking Potters Group 48th Port Hacking Pottery Competition Hold a biennial exhibition at the Hazelhurst Gallery, Gymea to enable accomplished, novice & beginning potters to exhibit their work & provide a source of inspiration to others. for young people who face adversity. 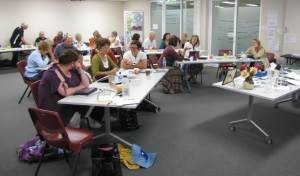 Training Pilot Deliver creative writing workshop leader training for Sydney Story Factory. 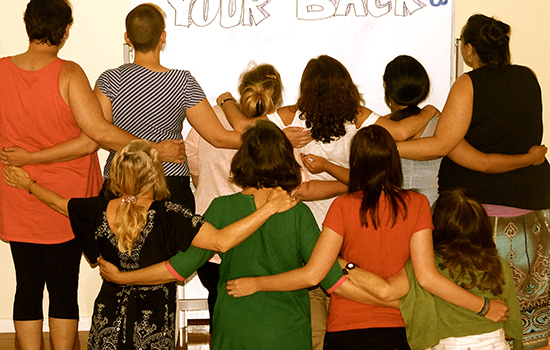 Volunteers to lead their own workshops in order to reach more marginalised youth across NSW. & blood sugar levels, as well as providing information on heart disease risk factors & healthy heart habits. Canberra Model Railway Club Inc. Facilitating Community Interaction Set up the transportability of Model Railway Layouts; promoting education of the heritage of rail, encouraging interaction with a wide variety of community groups and providing skills development across all ages. Community Programs Association Recyclery Provide employment opportunities, training and skills development for disabled employees and volunteer students via expansion of an existing not-for-profit recyclery providing inexpensive, refurbished bikes for sale to ANU and the wider community. Federation of Chinese Community of Canberra Inc. Chinese School Celebration of 20 Years Contribution to the Community Publish a book (free to the community) to celebrate 20 years of the Federation's work and hold an event that encourages youth participation, enhances multiculturalism and promotes Chinese culture. Repair & Upgrade Belmore Park Rotunda Renovate and preserve the Belmore Park Rotunda, a heritage landmark; restore original iron-lace work and flooring. Produce a high quality pictorial book on the social history of Queanbeyan, covering 175 years since its settlement. Rotary Club of Canberra RYDA - Rotary Clubs ACT - Youth Safety Awareness Conduct young driver road safety awareness programs, and hold workshops across a number of ACT high schools. 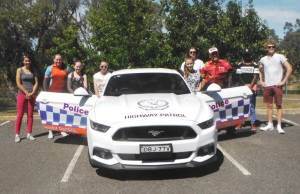 Rotary Club of Goulburn U-Turn-The-Wheel Hold intensive courses for high school students in driver training that emphasise road safety awareness. Series of classes & workshops with high-profile experienced facilitators. Scout Association of Australia, ACT Branch - Birralee Enhancement of Scout Hall Facilities Extensions and fit-out to enable sustainable works development to the Birralee Scout Hall. Encourage greater public use of the hall. SOS-Canberra SOS Canberra (Supporting Our Sisters) Expand an existing program with the aim of supporting young women and reduce incidences of intoxication and assault. Empower young women to start their own community projects. 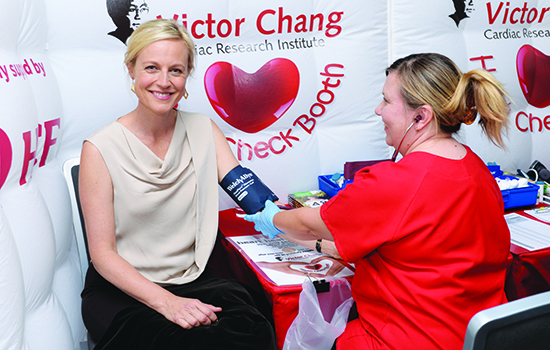 Victor Chang Cardiac Research Institute Health Check Booth in ACT Provide a fully mobile Health Check Booth to benefit ACT communities by testing up to 1,000 participants for blood pressure, total cholesterol and blood sugar levels. Art Arena Gallery and Studios Inc. Art Arena IT Project Provide a mentor program for emerging and established visual artists with a focus on information and technology training. 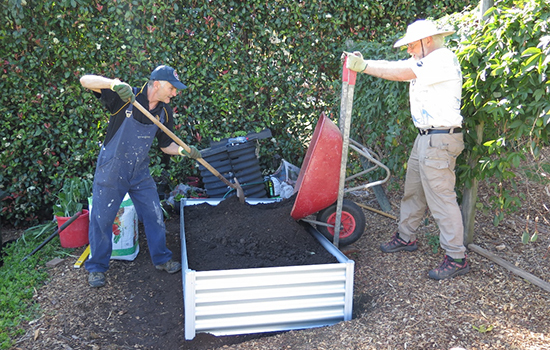 Church of Christ Community Care Outdoor Work Area - Men's Shed Extend work space with concrete pad and awning in front of existing small shed to allow increased membership and improve the already strong project delivery to the community. Illawarra Drug Awareness Group Ltd Illawarra Healthy Kids Enable over 15,000 students in more than 50 schools around the Illawarra (Thirroul to Shellharbour) to be educated and empowered to make informed choices for a safe and healthy life. The Illawarra History Workshop Inc. The Dictionary of Wollongong Implement the first stage of a larger project to produce the history of Wollongong via community engagement, by building online intereactive resources for participation. Illawarra Quilters Inc. Illawarra Quliters Community Quilts Project Make quilts for a broad spectrum of disadvantaged people within the community, particularly for recipient organisations such as Youth off the Streets, Lighthouse and SCARF. Cows Create Careers Introduce students to various careers in the dairy industry with an academic and a hands-on training module, which includes bringing calves into the schools. North West Community Care Walking Bus - Lakelands Public School Introduce Walking Bus Project at Lakelands Public School to encourage children to walk to school in a supervised group, developing health, fitness, social skills and independence. Older Musicians Club of Australia Older Musicians Club of Australia Promote music as an aid to mental health issues and combating depression through established links with Denny and Beyond Blue. 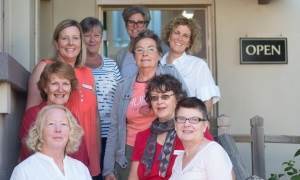 Raise the Gong Inc. Health and Wellbeing for Women Provide local women with free Chemo Care Kits at Wollongong clinics which are filled with products, discounted services, also personal development classes. Rotary Club of Kiama Inc. Mental Health First Aid Course Provide two free, nationally certified mental health first aid courses in the community, for up to 80 people to establish greater awareness of mental health issues. Shellharbour City U3A Inc. Advanced learning for Shellharbour Seniors Set up special courses for lonely/isolated seniors in the community, and promoting U3A to increase membership. Stockyard Creek Bushcare Group Step into Stockyard Slope Construct steps for community and visitors to access BushCare site at Wombarra and enable better site management, including re-generation/re-vegetation. University of Wollongong Learning, Creating, Sharing in Early Education Train early childhood educators to utilise Interactive Whiteboard resources to provide wide-engagement opportunities for teachers to share with children. Wollongong Conservatorium of Music IMB/Roger Soden Scholarship Yr 2 Provide a scholarship (annual over 5 years) for a student musician at Wollongong Conservatorium. Batemans Bay Men's Shed Extension of Men's Shed Establish a space to cater for growing membership, guest speakers and train/refresh the skills of the young and old. Bega and District Historical Machinery Club Inc. Bega Historical Machinery Club Provide suitable premises to house historical machinery and train the younger generation in restoration processes. Bega District Hospital Auxiliary Bega Hospital Auxiliary Provide materials to allow for the maintenance of proper records and better manage fund-raising activities in the community. 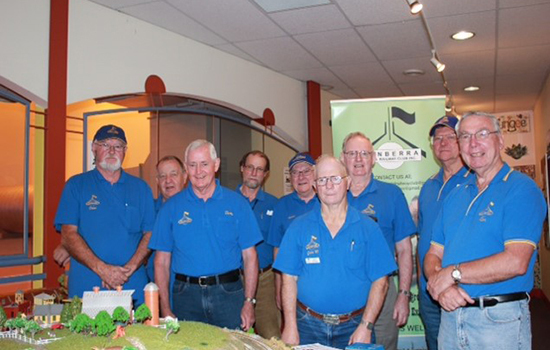 Bega Men's Shed Inc. Bega Needs a Men's Shed Facilitate construction of a Men's Shed on the Old Bega Hospital site to help reduce isolation and depression in the high percentage of men who live alone in the region. Eurobodalla Woodcraft Guild Woodworking Hand Tools for Training Provide new woodworking hand tools for the workshop to train and educate all ages and improve overall skill levels. Friends of Curtis Park Arboretum Water Tank; Plumbing; Conservation Provide and install a water tank for an establishing Arboretum at Shoalhaven Heads; educate community groups in use of the conserved water, re-use of garden water and tank water with native plants. 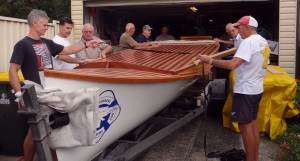 Lady Denman Heritage Complex Inc Restoration of the 'Crest' Restore a historically significant motor launch, by encouraging active participation and training of community volunteers in the wooden boat-building craft at Huskisson. Milton District Bland Inc. Band Music in Milton Conduct weekly workshops to develop instrument skills, teach beginners and prepare music for community performances. Expand existing free tuition programs to all community members, particularly the aged. Pig and Whistle Fleet Club Inc. Audio/Visual History Provide equipment to record oral and visual history from older residents to preserve community heritage and increase tourists/visitors to the Tathra Wharf Museum. TeenSafe Moruya TeenSafe Safe Driver Education Program Continue to provide the successful Safe Driver Education programs to community teens, in a "hands on" environment. 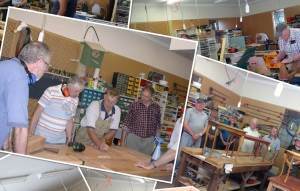 Ulladulla Men's Shed Inc. Better Results with Reduced Noise Upgrade machinery for working with recycled timber, to reduce high noise level and improve safety. Bowral and District Art Society Inc. (BDAS) BDAS Sculpture Garden Expand art facilities with a low maintenance Sculpture Garden to give the wider community access to the creative arts. Highlands Community Centres Inc. MPower Tutoring Program Provide professional and free after-school tutoring for all senior students (12-18 years) studying in the Wingecarribee Shire. Rotary Club of Moss Vale U-Turn-The-Wheel Hold intensive courses for high school students in driver training that emphasise road safety awareness. Theatre for All Inc. Theatre for All Coordinate three sub-projects, involving Small Hall Theatre, Small School Theatre and Highlands Video Group that train kids and members in developing and performing theatre for public audiences in Wingecarribee Shire. Airds Bradbury Men's Shed More Space - More Participation Reorganise, renovate and relocate machinery in the Shed to create greater space for current membership, address the waiting list and increase community involvement. Camden Community Connections Inc. Connecting Women by the Stroke of a Brush Run a series of art therapy workshops and information sessions in the community to help improve family life, social connections and interactions, self-esteem and personal development. Camden District Care Inc. Camden District Care Learning Technology Acquire iPads to introduce new technology to a wide range of less fortunate aged and youth (including the disabled). Campbelltown Senior Cyber Seekers Inc. Travelling Tutors Train volunteer tutors to deliver improved basic computer skills courses off-site to seniors at various centres, (retirement villages, community centres) concentrating on Housing NSW people. 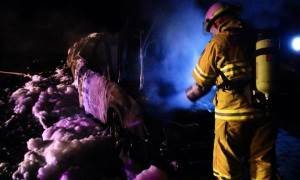 Lynwood Park Rural Fire Brigade Rural Fire Service 'Hot House' Training Facility Upgrade existing, inadequate hot house training facility to better serve a wide range of Rural Fire Service zones in Southern Sydney/Macarthur. Marrickville Community Training Centre Inc. Seniors On-Line Budgeting, Banking and BPay Deliver a 10-week course in Minto (2 hours each session) to train seniors to use simple budgeting tools and resources, understand Internet Banking processes and learn BPAY systems. Narrellans Men's Shed Fit Out Men's Shed Fit-out of new shed that will assist senior men with social interaction, skills transfer and health issues, through the delivery of workshops, youth mentoring, sustainable gardening, alternative power systems and other community projects. Robert Townson High School (Raby) QuikShine Team Run a strong intergenerational program where students receive work-related and volunteer training (with TAFE input) to deliver personal services including personal grooming and care. Cronulla High School TechnologyHelp@Cronulla High School Run technology focused programs, involve students and volunteers in community service projects, train students in peer coaching and expand the school's community linkages. Enough is Enough Anti-Violence Movement Inc. Positive Solutions Bullying Resilience Program Provide Primary School Students with effective strategies and mechanisms for coping with bullying through the recently developed 'Bullying Resilience Project'. National Heart Foundation of Australia (NSW Division) Saving Lives from Heart Attacks Develop comprehensive hard-copy resources for "Managing My Heart Health" which provides individually tailored plans to aid recovery, promote lifesaving changes to reduce heart attacks; delivered across several hospitals. 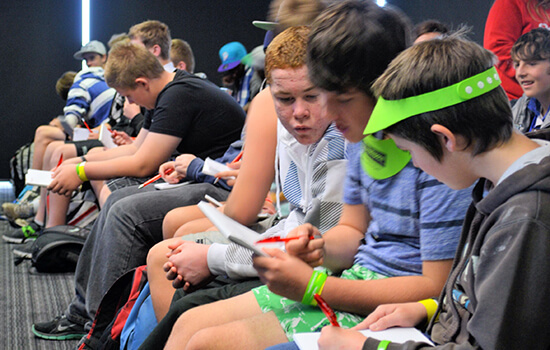 PCYC NSW ( Parramatta) THINK Program Deliver an education-based course aimed at directing youth-at-risk away from "negative" decisions, by exploring the consequences of crime, promoting positive interactions with police and covering a range of cyber-type crime issues. 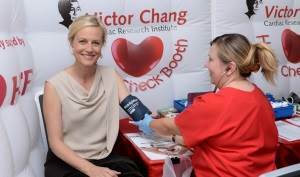 Victor Chang Cardiac Research Institute Health Check Booth Provide a fully mobile Health Check Booth to benefit communities by testing up to 1,000 participants for blood pressure, total cholesterol and blood sugar levels.